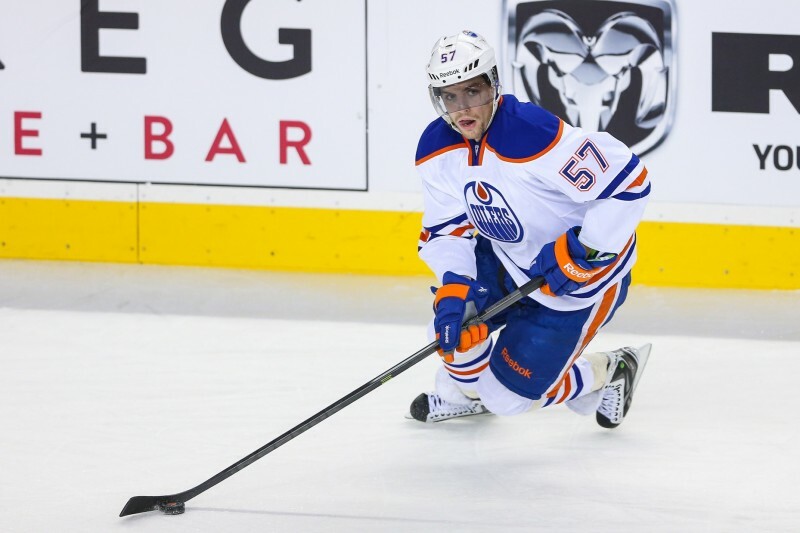 What Should the Oilers do with Their Other First Round Pick? When the Pittsburgh Penguins traded their first round pick to the Oilers for David Perron, they were well situated in the standings, and the pick was likely going to be somewhere in the range of 23rd-26th overall. Perron started his career in Pittsburgh on a tear, and it looked to be a real steal. But, as the Penguins took a nosedive to end the season, so did Perron’s production. The team barely made the playoffs and were promptly ousted in five games at the hands of the New York Rangers. The trade definitely looked to be in Edmonton’s favor when all was said and done. Now, in addition the coveted first overall pick, the Oilers also have the 16th overall pick in their hands. In such a deep draft, they’re going to get a good player. But, their options are plenty, and there’s really no telling where they will go with it. In fact, there’s no guarantee that they will even keep the pick. Many of the teams who hold two first round picks this year will have opportunity to deal their later pick to try and improve their roster. And there are plenty of teams trying to get back into the first round, including the aforementioned Penguins. Should the Oilers Trade the Pick? The 2015 draft is projected to be a good one, and while there’s no way of knowing how any of these prospects will actually pan out, its the perception that makes all the first round picks so valuable. The Oilers don’t have a ton of assets to deal, which makes their quest for a number goalie a little dicey. But that 16th overall pick could prove to be their best bargaining chip. Just two years ago, the New Jersey Devils traded the ninth overall pick and got Cory Schneider in return. The Canucks selected Bo Horvat with the pick, but that trade still remains in the Devils favor. Would the Oilers be able to swap that pick for one of the Ottawa Senators goalies for example? It’s not out of the realm of possibility. They may need to throw something else in there, but, that pick gives them the opportunity to put a deal together without moving any of the young talent off their roster. I discussed in an earlier article that none of the goalies thought to be available are worth a young forward, but if that pick was the main piece of the trade, well that is a little easier to swallow. The Oilers may not be planning to trade the pick, but if an interesting proposal comes their way, they will surely listen. Should the Oilers Draft a Forward or a Defenceman? If the Oilers plan on keeping the pick, there are a number of players in and around the 16th overall ranking who could be of interest to Edmonton. There are two big things to consider here: are you going to draft according to your needs, or do you take the best available player? I’m of the belief that Edmonton still needs more help on the blueline, and there are a few interesting defencemen who they could pick up. Jakub Zboril (Final ranking: 12) 6’1″, 184 pounds. Zboril is considered an offensive defenceman. He likens his game to Nicklas Lidstrom and P.K Subban. There’s no guarantee that he will still be on the board at 16, but Zboril’s skill set makes him an interesting option for the Oilers. Thomas Chabot (Final ranking: 16) 6’2″, 180 pounds. Chabot is projected to be more of a two-way defenceman. He’s reliable in his own end, but he also chips in with offence. He led all Sea Dogs blueliners in points with 41 in 66 games. Jeremy Roy (Final ranking: 21) 6’0″, 188 pounds. Roy may not be the biggest guy, but he plays big and is hard to knock off the puck. He’s a strong skater and makes a great first pass. Barring a surprise, he will be available for the Oilers at 16, and he’s the guy I would consider the most. The Oilers just signed Russian winger Anton Slepyshev, so the idea of grabbing yet another forward may not the most logical route. Again, it really depends who is available, but taking a look at the guys around the 16th spot, I see a lot of small centermen, something they definitely don’t need. In fact, many of the wingers that could be available are also on the small side. The one guy that does catch my eye is 6’2″ winger Evgeny Svechnikov, who is projected to go at 17. But again, the Oilers are building a glut of wingers, and top-notch defenceman tend to be more difficult to find. What do you think, Oilers fans? Is there a prospect who you would love to see the Oilers pick up at #16? Or would you rather see them trade the pick to strengthen their roster for the present? As always, have your say in the comments section below.